Food adventures in Singapore | 15,000kms of Food! Ate lots of great food in Singapore, some of the highlights are below! No matter what city I’m in, somehow I always end up at Din Tai Fung! I’m a sucker for the Xiao Long Bao. The thing about DTF is that no matter where you go, the XLB are made perfectly with thin pastry and a rich tasty soup inside. 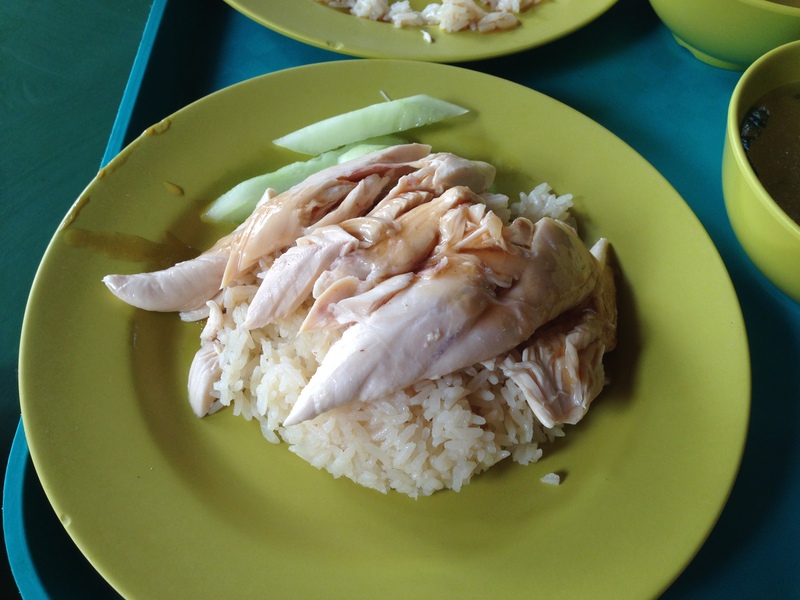 We queued in the heat for the famously famous Tian Tian Hainanese chicken rice. Google anything related to food and Singapore and this place will pop up. I have no advice to give for when to go to avoid queues as I was there on a weekday at 2pm and still had to wait over 40 minutes! BUT it was worth it! The chicken was silky, the soup was good but it’s the rice (that’s been cooked in chicken stock) that’s the real winner. 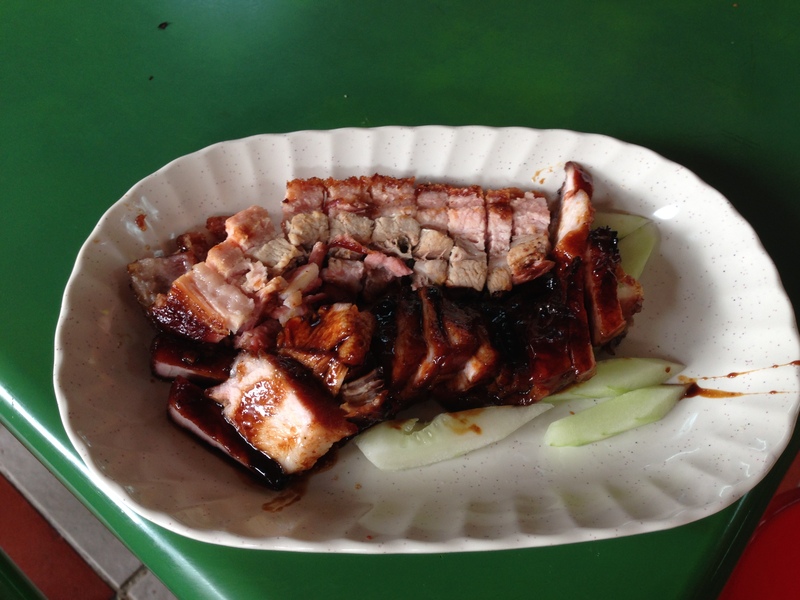 Since we were at the hawker centre we also had some crispy skinned pork. Delicious! 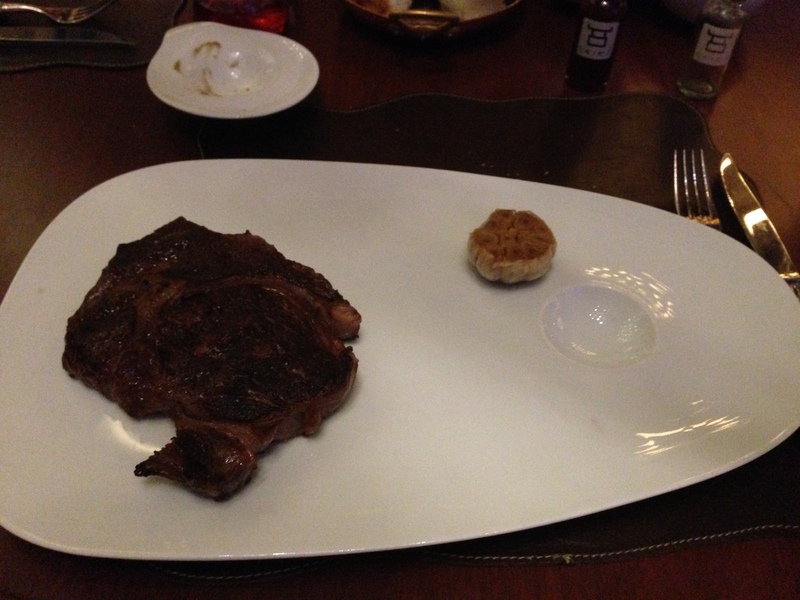 We stayed at the W Singapore Sentosa Cove hotel and dined at their steak restaurant called Skirt. Gotta say, I was very impressed by the food. 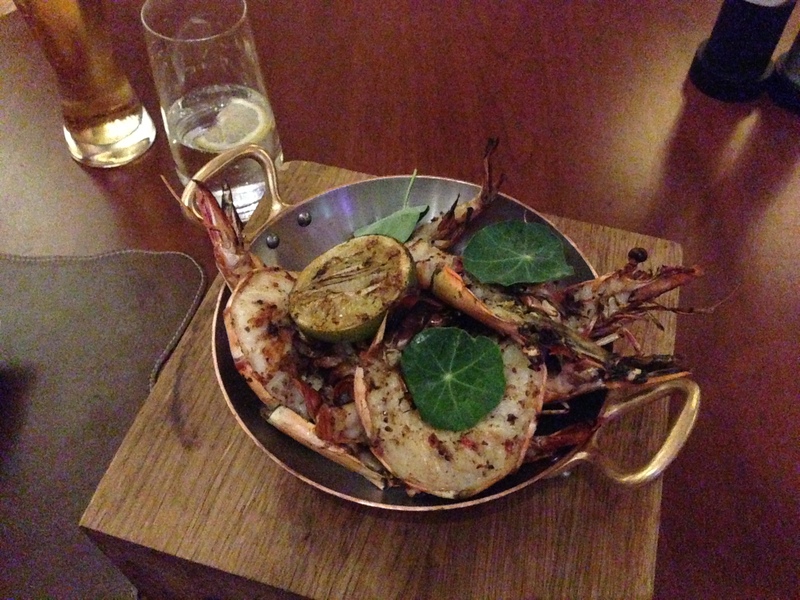 We had grilled prawns and steak (you can’t go to a streak joint and not have a steak!). 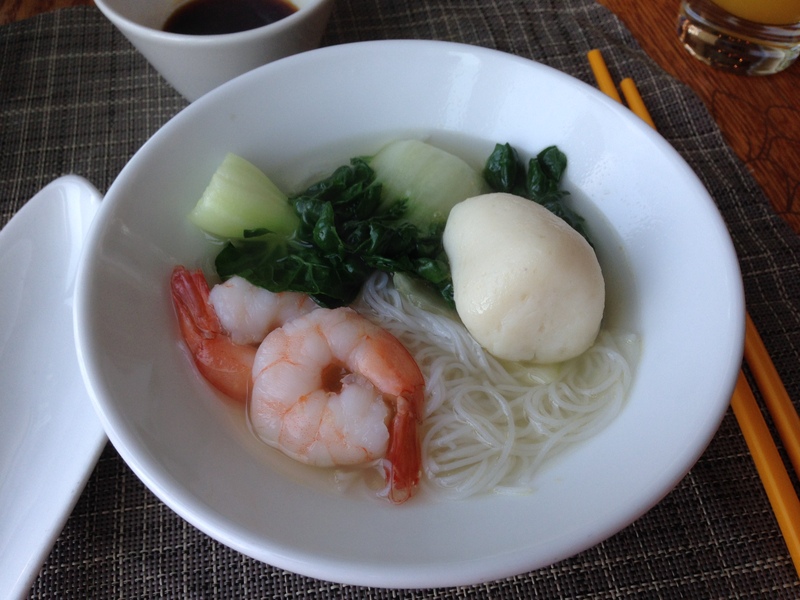 One thing I love about staying in hotels in Asian countries and having breakfast there is that there’s always noodle soup in the breakfast buffet! Love it! 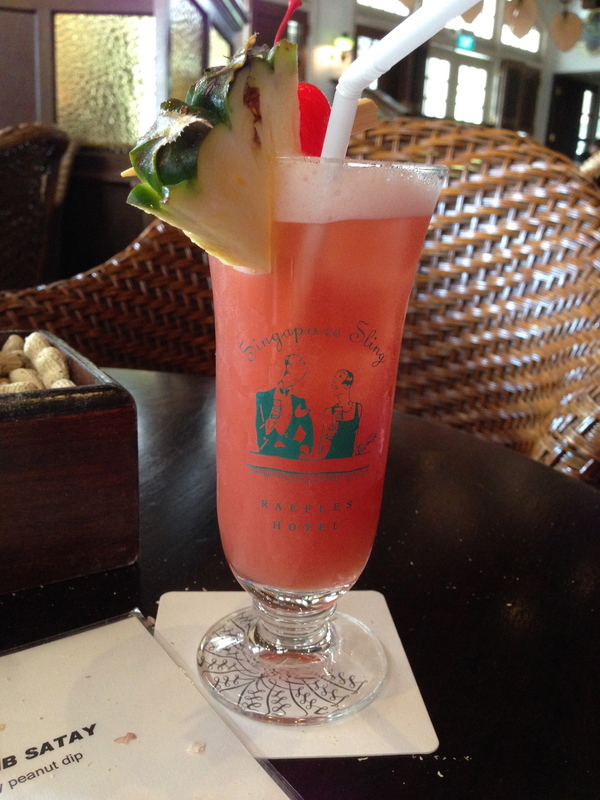 And lastly, we had to go have the original Singapore Sling at the Raffles Hotel. One of these babies will set you back $27 (gasp!). You’re also paying for the atmosphere and being part of a bygone era (where everyone went broke from drinking Singapore Slings?). Hope you enjoyed the little highlights from my trip to Singapore! For more info and reviews on Tian Tian here’s a link to tripadvisor. For more info and reviews on Skirt here’s a link to tripadvisor. 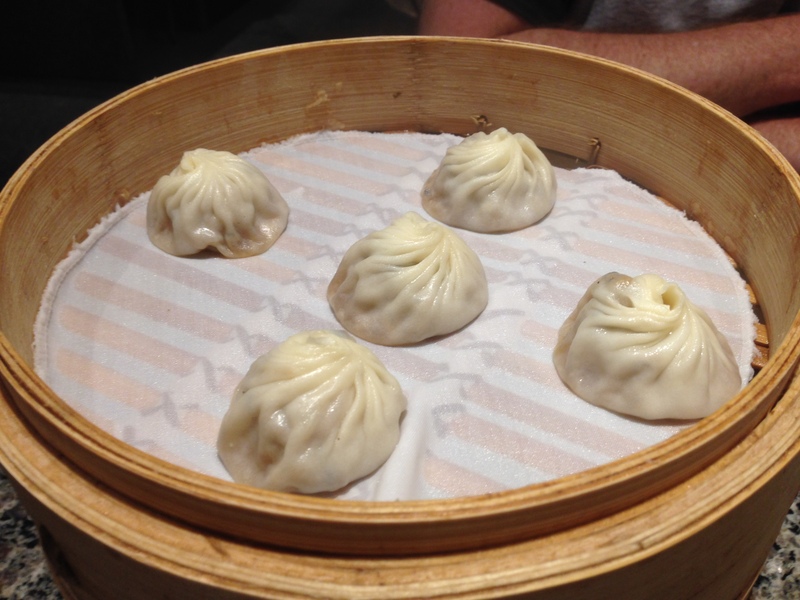 Yes yes, DTF’s xiao long bao is one of the best available in the market, unless you fly over to Shanghai. Pingback: Who Doesn’t Love Adventures!